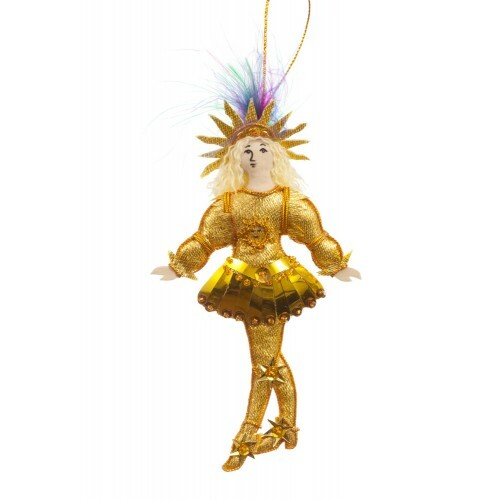 Behold King Louis XIV in his splendorous attire as the Sun King! 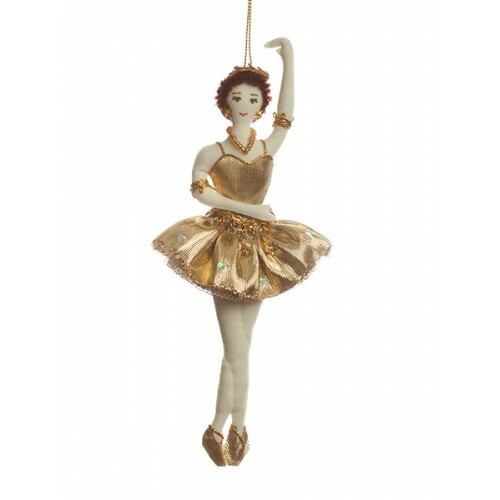 King Louis XIV graced his court with such appearances during his parties, where he famously also danced ballet. 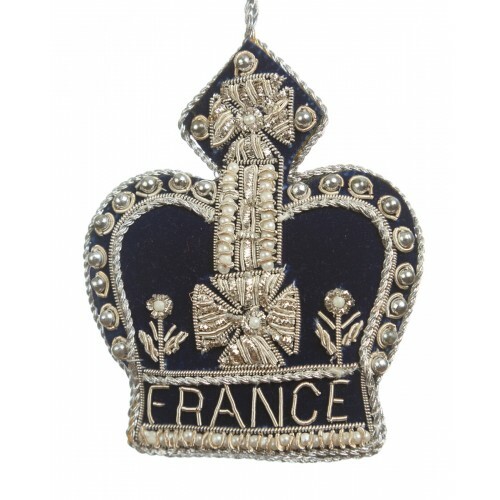 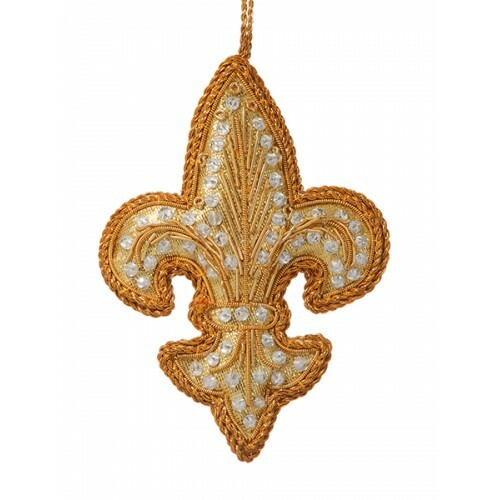 In shiny gold tissue and sparkly diamantes, this hand-embroidered Fleur de Lis ornament will make an..